The body must continuously be in a proper state of hydration. Because 2.5 liters of water is lost each day through normal bodily functions, this must be replaced. 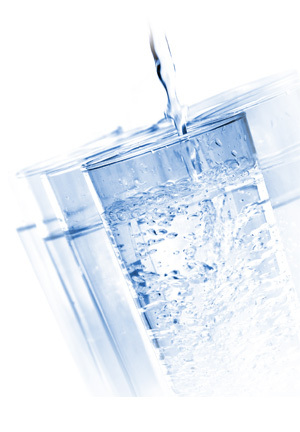 There are two major issues that emphasize the need to keep the body adequately hydrated with water of the best quality, content, and structure so it can maintain homeostasis. The human body was created to be in balance. We call this integrity, or oneness, or more commonly, homeostasis. Our body relies on its chemical processing plant to keep a metabolic balance. The body knows when it is being depleted of minerals and nutrients–which are essential to keep it balanced. When this happens, the body must draw from its reserve. But this can only be a temporary measure, until these reserves are once again replenished. However, because of contamination in our environment such as toxic wastes and chemical additives, food and water have been depleted of critical minerals necessary for metabolism. As a result, the body's chemistry becomes un-balanced, and destructive substances known as free radicals form. These free radicals destroy cells and cause the body in general to deteriorate.